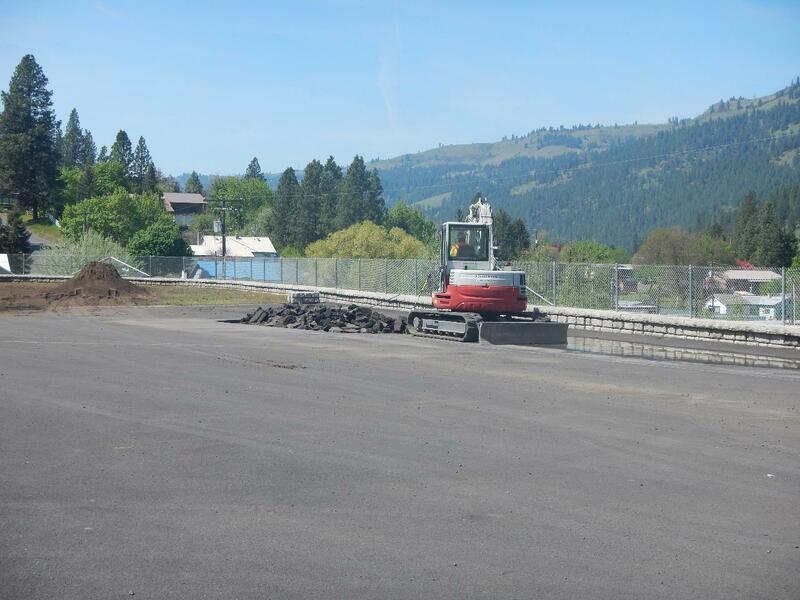 In 2011, EPA removed asbestos-contaminated soil from several properties in and around Orofino and combined that soil with the existing asbestos-contaminated soil at the First Baptist Church (FBC), creating a repository. 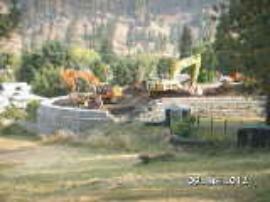 The asbestos-contaminated soil repository is behind a gravity-based retaining wall. 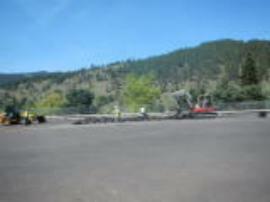 The retaining wall is located along the north and west boundaries of the FBC's parking area. 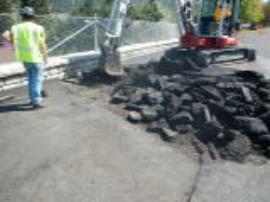 The repository consists of two areas, including an asphalt parking area and a vegetated dry retention area. 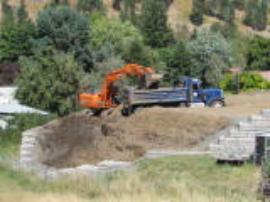 Work on the retaining wall and repository was completed by EPA in 2012. In 2014, representatives from the FBC notified EPA about several issues related to the integrity of the repository cap. 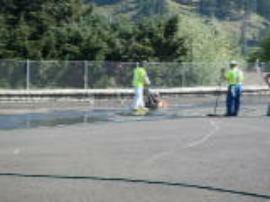 Specifically, areas of the asphalt parking area were settling, and vegetation had not been well established in the dry retention basin. · The steep slopes at the northeastern of the retaining wall did not provide convenient access to the lower sections of the wall for maintenance and repair activities.
. 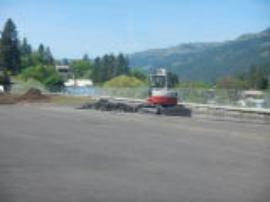 The steep slopes along the asphalt at the southwest of the retaining wall were not graded, and represented a liability issue since people or vehicles could drive off the edge or get hurt. In addition, soil was eroding along the steep edge and out from under the asphalt, and, if not addressed could expose asbestos-contaminated soil. For additional information, visit the Pollution/Situation Report (Pol/Sitreps) section.